The Samsung UA55JU7000 55inch 4K Ultra HD Flat Smart LED TV is the emperor entertainer and gives you only the best quality pictures. 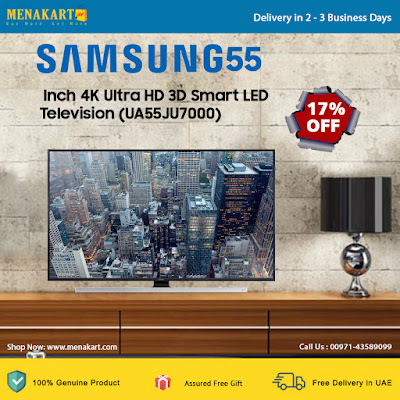 This TV has a wide 55inch 4K Ultra HD display that employs the use of amazing new display technologies that give you sharper, brighter, and richer technology. Enjoy resolutions of 3840 x 2160 pixels that show you the detail with sharp clarity. It also has a number of connectivity options such as the 2 HDMI ports that enable you to connect HD video sources such as BluRay players and set top boxes to it. Engulf yourself in the beauty of your content; there is no better choice than this TV.